I first learned of the Algorithmic Art Assembly via colleague Joshua Kit Clayton. 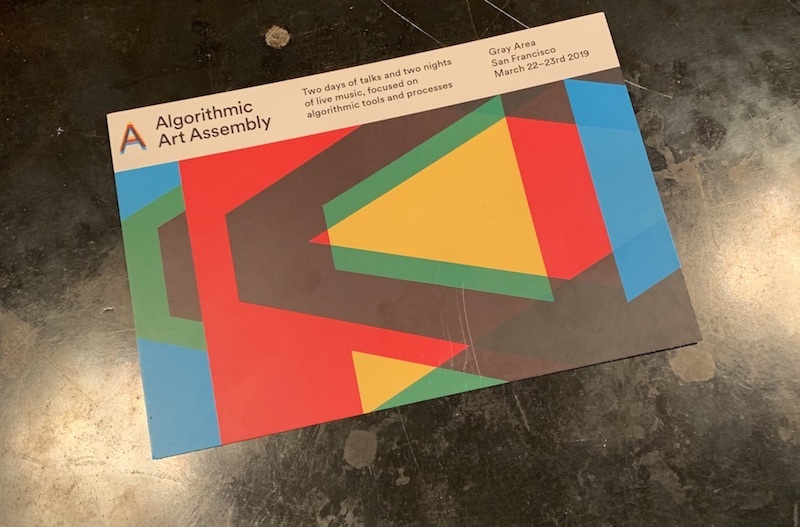 I knew nothing about it other than that it would be a curated weekend of talks and performances themed around art and algorithms at the Gray Area Foundation in San Francisco. I knew I had to attend, and I’d like to invite you along (after the fact).